For those interested in the Indian political struggle before independence, Sabarmati Ashram in Ahmedabad is a place must to visit. So if you are looking to see some historic place with a great reverence in Indian independence, this is the right place for you. 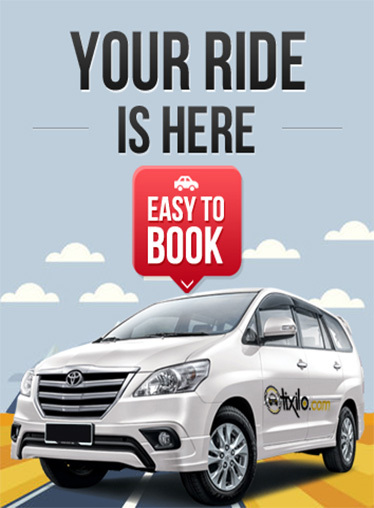 You can easily book the one-way taxi service of Tixilo cab rentals from Jodhpur to Ahmedabad. We will make sure that your ride to the ashram is safe and as comfortable as possible. Why a Tixilo hot one way from Udaipur to Ahmedabad? Since it is an experienced and reputed taxi service provider, the Tixilo car rental service is suggested by many for one way trips. Not only you can book a cab of your choice according to your requirement from our website or mobile app, but also you can drive the way at an affordable price. The distance between the two stations is about 454 kms, which a Tixilo cab covers in about 4 hours. We make sure that you drive your way comfortably and safely in a well-maintained cab. Our drivers are skilled, licensed and well familiar with the routes. We offer a one-time pick up from anywhere in Jodhpur and one time drop to Ahmedabad at affordable rates. We further assure that the cab that you booked for your one way trip from Jodhpur to Ahmedabad picks you on time. We offer a safe, relaxing and enjoyable one way ride for our customers. Here is a list of advantage of booking a Tixilo. · Reliable, safe, and comfortable taxi services. · Amazing cabs to choose from. · Luxurious rides including Audi, BMW and Mercedes. · Mobile app or website for easy cab booking. · Flexible and hassle free payment options.